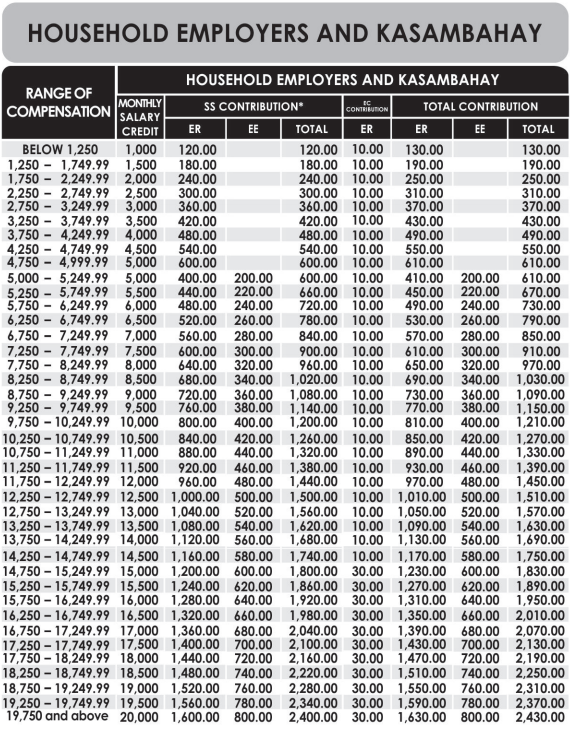 You are here:Home Government Services SSS Contribution Table 2019: How much is your SSS Contribution now? 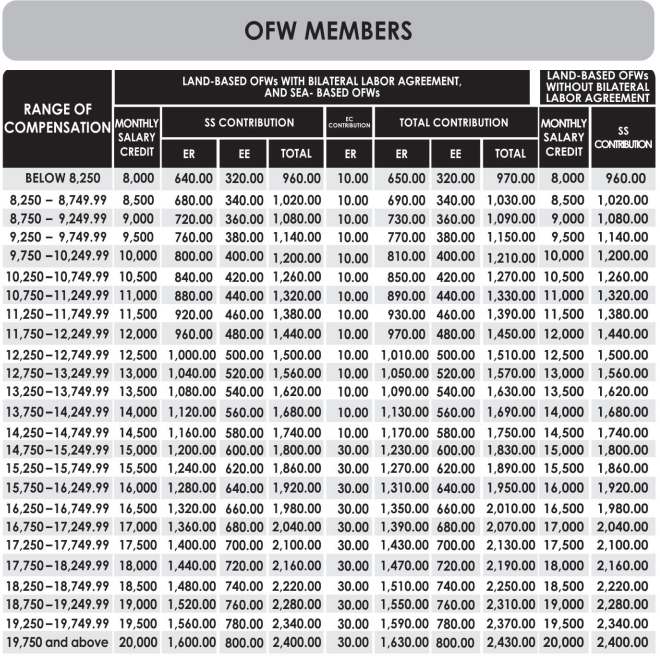 SSS Contribution Table 2019: How much is your SSS Contribution now? Have you heard the news that our SSS contributions will increase starting April 2019? Well, you heard it right! The Social Security System has recently announced that effective April 2019, there will be a new SSS Contribution Table 2019 which will be the reference for the amount of contributions of members – employed, self-employed, voluntary, non-working spouse, or OFW member. If you are an employed member, you don’t really need to worry about this because your employer or your HR personnel will be the one to update your information and do the necessary deductions for your SSS contributions. For Self-Employed, Voluntary, and Non-working Spouse, since your pay your SSS contributions voluntarily or personally, you would have to enter the updated amount of your contribution to SSS starting April 2019. For example, if you are earning Php 5,000 per month, and you used to pay Php 550 monthly contribution before, it will now be Php 600. The monthly salary credit or MSC remains the same at Php 5,000. The MSC is used when computing for your SSS benefits. If the kasambahay earns less than Php 5,000, her employer shall pay her entire SSS contribution. This is based on the Kasambahay Law. For OFW members, the minimum contribution is Php 960 for the MSC of Php 8,000. The maximum monthly contribution is Php 2,400 for the MSC of Php 20,000. Since most OFWs pay in advance and usually annually (for the entire year), if you have made advance payments for 2019, you would have to pay additional payments for the months of April to December 2019 with the applicable increase in contribution based on the new SSS Contribution Table 2019. Option 2: If you want to retain your contribution and you don’t want to pay additional amount, your SSS contribution will be posted under the MSC of Php 14,500. 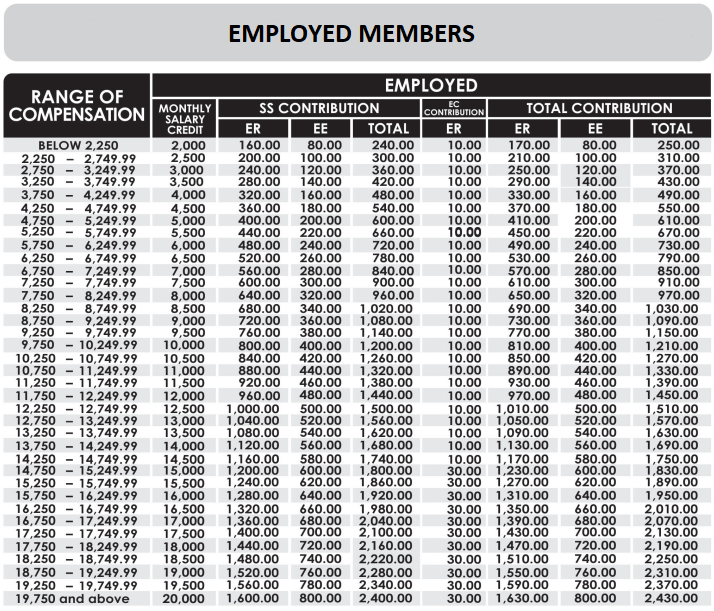 What has changed in the new SSS Contribution Table 2019? 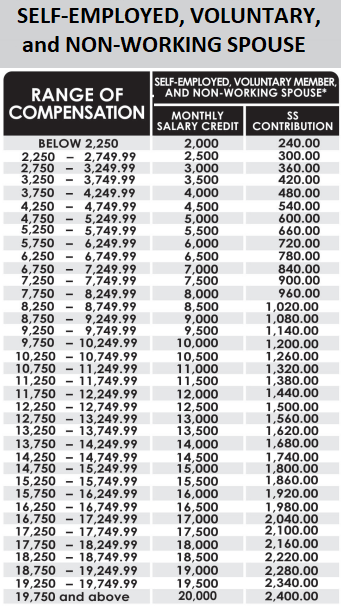 What should I do if I already made advance payments for my SSS contributions for April 2019 or any succeeding month? If you paid your SSS Contribution at the minimum MSC of Php 1,000, you must settle your underpayments amounting to Php 10 per month. Otherwise, your advance payment will be considered as ineffective contributions. If you paid your SSS Contribution at an MSC other than the minimum of Php 1,000, you must pay the corresponding increase in contribution to retain posting at the same MSC. Otherwise, your payment will be posted at the applicable lower MSC. For example, you earn Php 5,000 per month and you pay P550 per month of contribution to SSS. If you have already paid your contributions for the months of April, May, and June 2019 in advance at Php 550 each, you need to make additional payments of Php 50 per month (Php 150 in total) for it to be posted under the MSC of Php 5,000. If you don’t pay the additional Php 50 per month, your Php 550 contribution will be posted under the MSC of Php 4,500. Disclaimer: This is a personal interpretation of the topic. For clarification or questions about the new SSS Contribution Table, please contact the Social Security System directly.